While visiting Japan, first-time visitors often stick to what is often referred to as the “Golden Route”: Tokyo, Nikko, Hakone, and Kyoto. 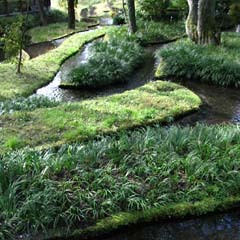 This is understandable, but there are other satisfying alternatives near Tokyo. 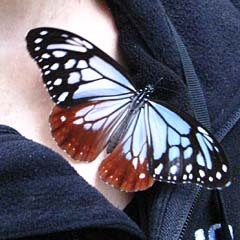 Karuizawa is one. Here, you can not only experience hot springs and mountain scenery, but also historic architecture in a quaint, romantic setting with welcome cool, crisp air, and it's only a little over an hour from Tokyo via shinkansen. While Karuizawa may not have the Hakone’s views of Mt. Fuji (which are often obscured by clouds), it lies at the base of Mt. 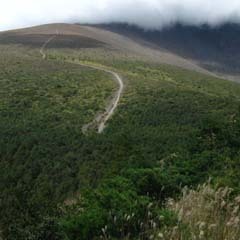 Asama, an active volcano that is easily scaled and perfectly safe. Above: Autumn hassun platter; Below: Taro root and uni (sea urchin) appetizer. Left: the resort in the early morning. In the heart of this idyllic setting lies Hoshinoya Karuizawa, a resort that successfully marries traditional Japanese culture with modern comfort. During a recent stay in early autumn, we found many of the charms you’d expect of a traditional Japanese ryokan (Japanese inn) perfectly wedded with the independence and comfort of a luxury hotel. 77 villas showcase a perfect interplay between indoor and outdoor spaces, some featuring individual gardens, clay walls that mimic the colors of nature, shoji screens and delightful hinoki baths with mineral-rich hot spring water. But Hoshinoya Karuizawa features some important differences as well, based on owner Yoshiharu Hoshino’s vision of “another Japan”. Here, guests have the option of dining at any of the resort’s four restaurants (or none at all, for many other options abound). 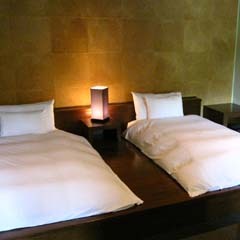 Unlike most traditional ryokan, the rooms are spacious, with space to move around freely. The futons — which are raised up off the floor — are thick and comfortable, while separate seating areas with sofa seating provide all the comforts of the most luxurious modern Japanese home. We love the experience of staying at authentic historic ryokan, but this was a welcome surprise. Even foodies like us may not want to eat a 12-course kaiseki dinners every night. This freedom of choice, coupled with flexible dining times, allowed an intense relaxation. We immediately understood how this would appeal to Japan’s younger generation: a world of choice and possibility, coupled with the traditional feeling of amaeru (being spoiled and coddled). Above, clockwise from top left: Private hinoki bath; A balcony with slippers; Modern Japanese comfort; The garden. Below, clockwise from top left: Descending from Ko-Asama peak; The resort at night, lit with paper candle lanterns; Kasuke, the Japanese restaurant. 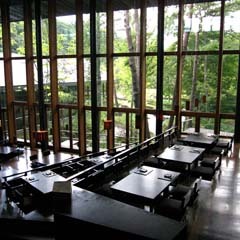 However, to miss the meals at the resort’s Japanese restaurant, Kasuke, would be a shame. The dining hall at night, with its soaring, dramatic ceiling and stunning architecture, feels like a cathedral nightclub. During the day, light streams in from floor-to-40-ft-high ceilings that look out over a tiered garden reminiscent of terraced rice fields filled with gently streaming water. 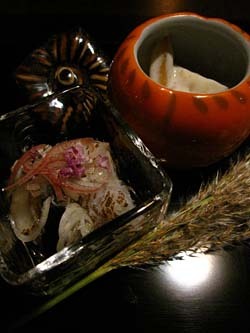 The food is wholesome, featuring seasonal, local mountain produce, chef-picked mushrooms (in season), fish and tofu. 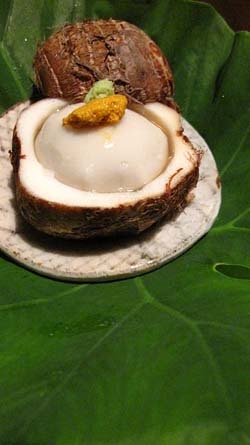 Dinner one night included a simple appetizer of boiled taro root topped with uni (sea urchin), while breakfast featured yudofu in a hot bath of soy milk made with natural hot spring water. We could imagine that if one were to dine here every day, one would be at the peak of health. You probably won't want to eat anywhere else, but just down the valley are other dining options, including delicious tempura soba at Kawakami-an, located at Harunire Terrace, a complex of stand-alone restaurants that include casual dining and even Italian food. Care for some Chianti and spaghetti bolognese before your onsen bath tonight? Sure, why not? Not to be missed, especially for a special occasion, is Yukawatan, a spectacular 24-seat French restaurant housed on the grounds of nearby Bleston Court, a hotel popular for weddings and also owned by Hoshino Resorts. Our meal was so outstanding that we will save a review for another article, coming soon. In addition to the villas' private baths, there are two communal baths. Tombo-no-yu (dragonfly onsen) is open to the public for a fee, while the Meditation bath is exclusively for resort guests. 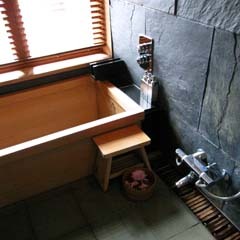 After washing in one of the showers, you can enter the bath, which is not as hot as most onsen. A series of waterfalls leads to “Hikari” a light-filled room. From there, a passageway to “Yami” a room in total darkness, lets your eyes become accustomed to the loss of light. 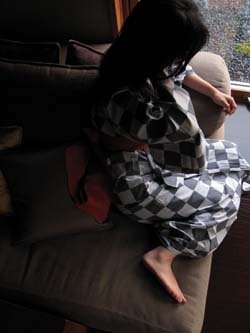 I’ve never experienced a totally dark onsen, but the effect was so calming that it was hard to leave. Luckily, the water’s temperature allows for meditative baths. The water is said to make one’s skin beautiful — while easing many ailments — including dermatosis, rheumatism, diabetes, and fatigue. Hoshinoya Karuizawa is Japan’s first eco (green) resort as well: It generates as much as 70% of its own energy, much of it from the hot spring’s geothermal heat. The run-off water from the baths are used to heat floors, etc. during the colder months, making a stay in winter particularly lovely. Speaking of winter, we were told that older couples tend to enjoy the peace and quiet (as well as reduced rooms rates) of the winter months, while couples of all ages opt for the spring flowers and fall colors. Families tend to visit during summer (Karuizawa’s peak season), taking advantage of the resort’s many activities — both cultural and natural. The adjacent bird sanctuary is a bird-watchers delight, and is also home to no less than five musasabi (Japanese giant flying squirrels). The Picchio Visitor Center gives nightly guided tours if you want to see them take flight — or during the day — watch them sleep via a live video feed hook-up at one of their nests. 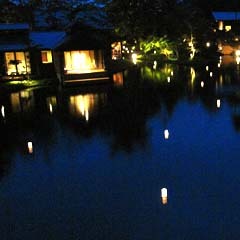 But regardless of the season, as you stroll back to your villa each night at twilight, cooling from the onsen, you can witness a romantic and somewhat anachronistic scene: Boatmen float along the resort’s central pond, laboriously lighting each of the 22 floating paper candle lanterns by hand. Their twinkling lights stay alight for several hours, reflecting their beauty on the water’s calm, mirror-like surface, until all but the staff's night shift has drifted off in a blissful sleep.